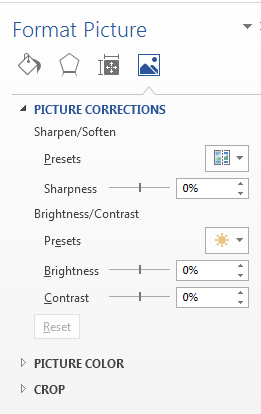 Learning how to change image brightness, sharpness and contrast in Word 2013 is an extremely useful, especially if you do not have another image editing tool. 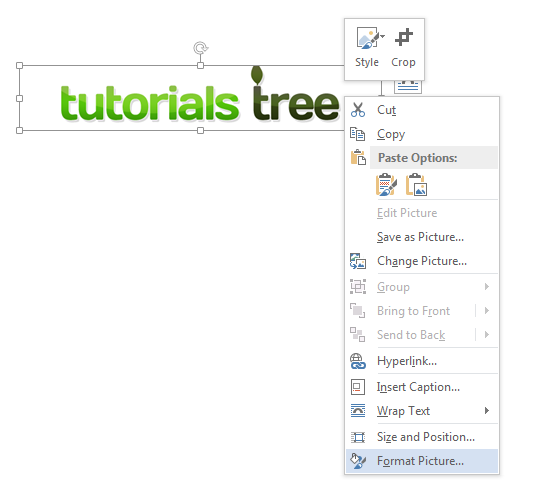 Word 2013 enables users to do all basic image editing, including changing the brightness, sharpness and contrast levels of images This tutorial will walk you through some basic guidelines that will teach you how to change image brightness, sharpness and contrast in Word 2013. Step 5: Click on Picture Corrections. Here you can change the Sharpness of your picture, as well as the brightness and level of contrast.